You are standing on Lyndale just south of Vinland Place and the Walker Art Center. The Church is on the east side of the street. 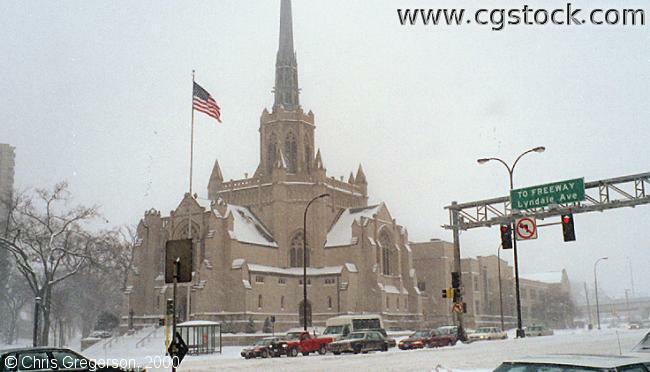 This picture was taken during the January 19th, 2000 snowstorm. We will take a closer look at this building's spire next.